Photograph of a human eye that has been bisected in the coronal plane to show the view of the anterior segment from a posterior perspective (as though you are looking from the retina). 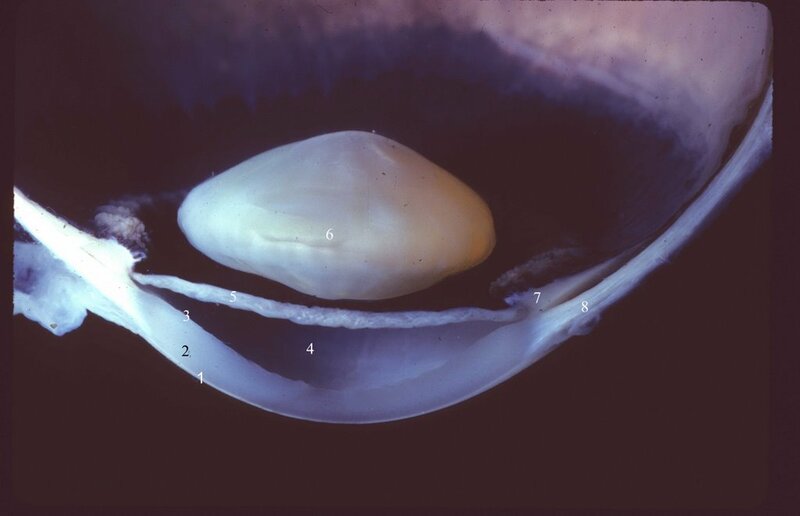 The crystalline lens is suspended by delicate fibers called the zonule. The ciliary body (CB) is composed of about 72 processes that make up the pars plicata and a flat area called the pars plana. 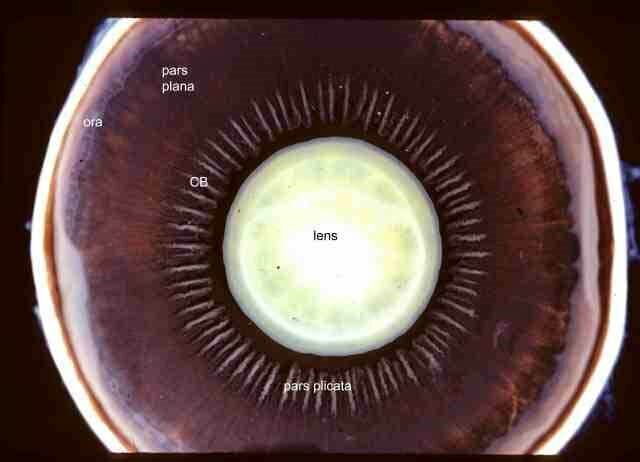 The ora serrata (ora) is the place where the retina joins the ciliary body. 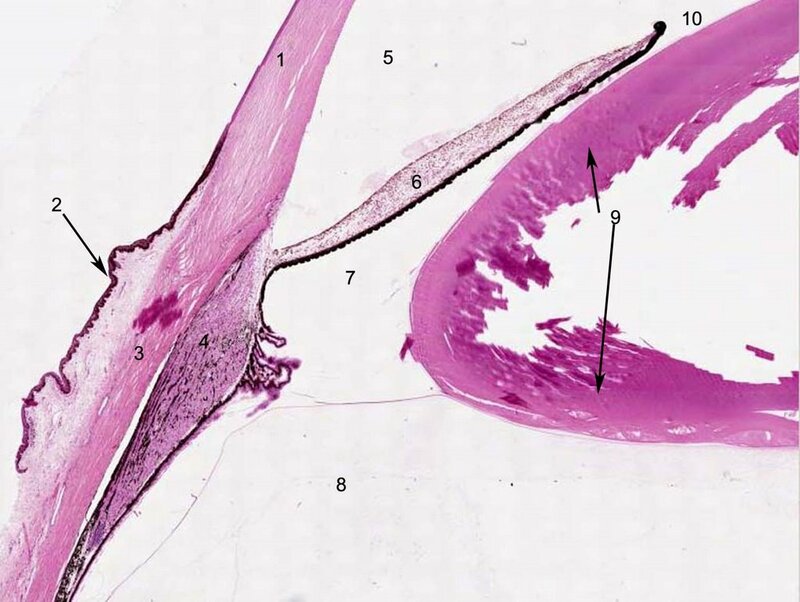 Below is a cross section of an eye with the various structures numbered. Click on the photograph to get higher magnification and then after you have identified the structure, verify by checking the key below.